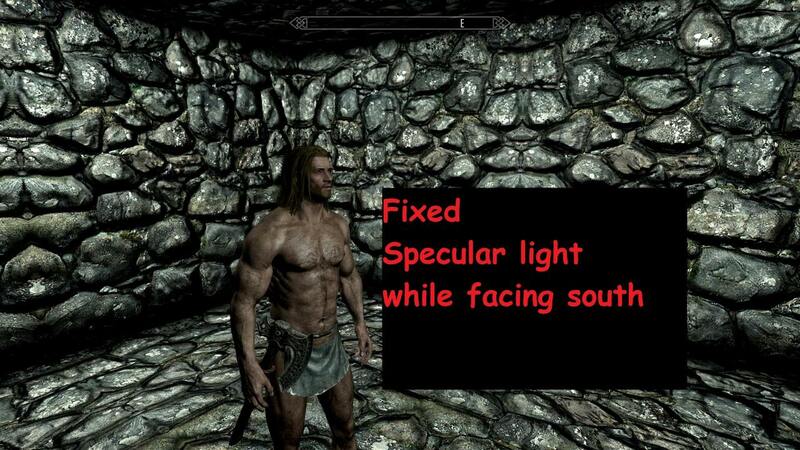 Skyrim Special Edition Nexus, opparco. 28 Mar 2019. opparco mfg Command for SSE. 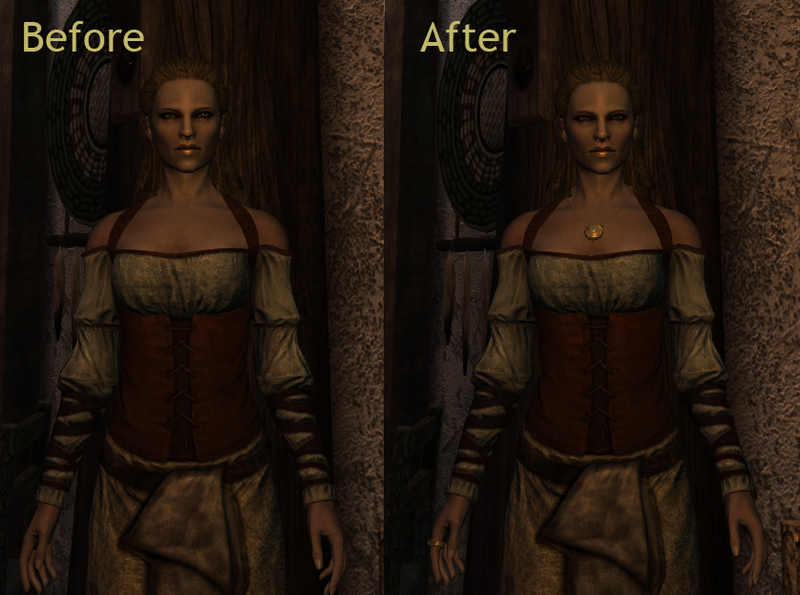 15 Oct 2017 <https://www.nexusmods.com/skyrimspecialedition/mods/12919>. 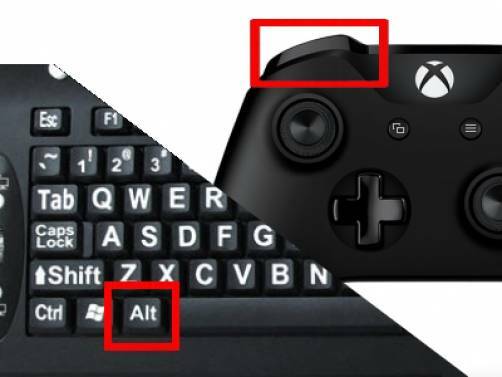 Skyrim Special Edition Nexus, meh321. 16 Mar 2019. 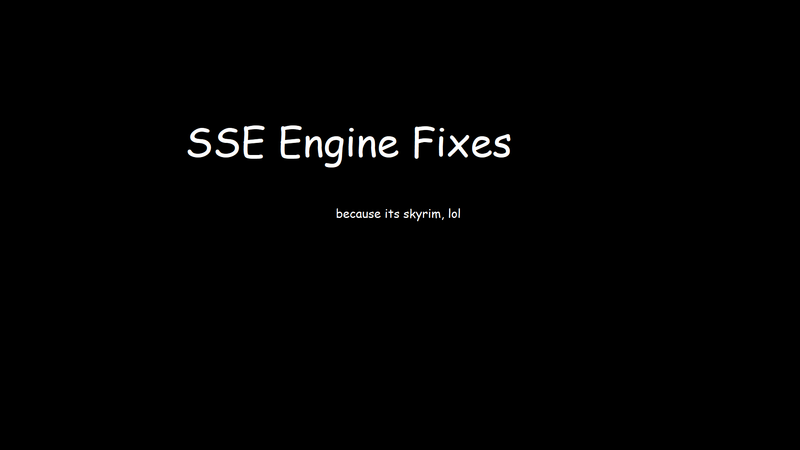 SSE Fixes. 22 Jun 2017 <https://www.nexusmods.com/skyrimspecialedition/mods/10547>. Skyrim Special Edition Nexus, Nukem. 22 Apr 2019. 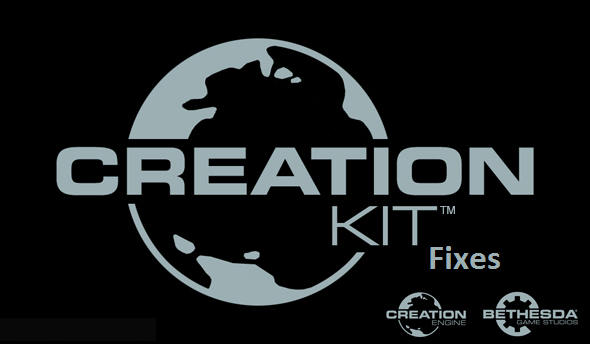 SSE CreationKit Fixes. 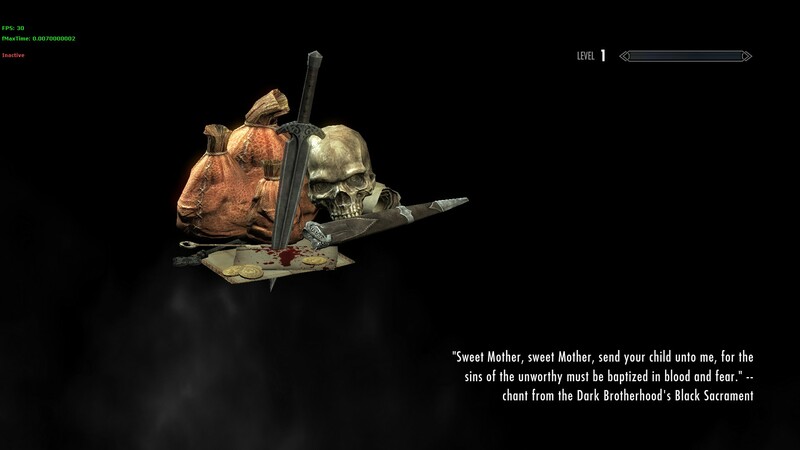 20 Sep 2018 <https://www.nexusmods.com/skyrimspecialedition/mods/20061>. 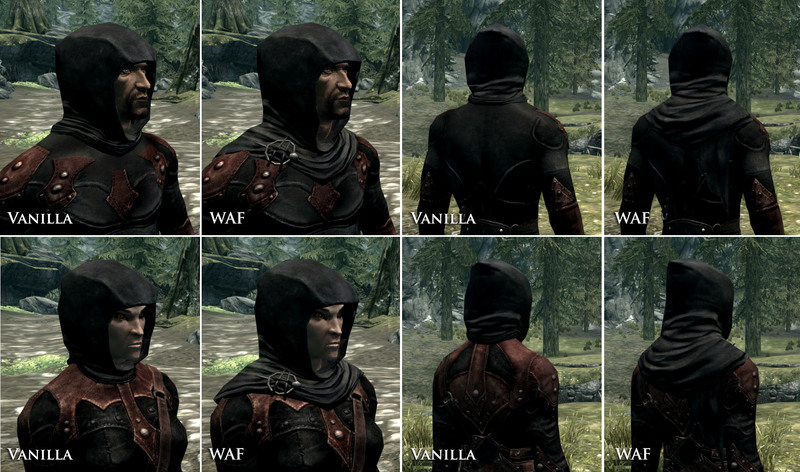 Skyrim Special Edition Nexus, Enai Siaion. 30 Oct 2016. Modern Brawl Bug Fix. 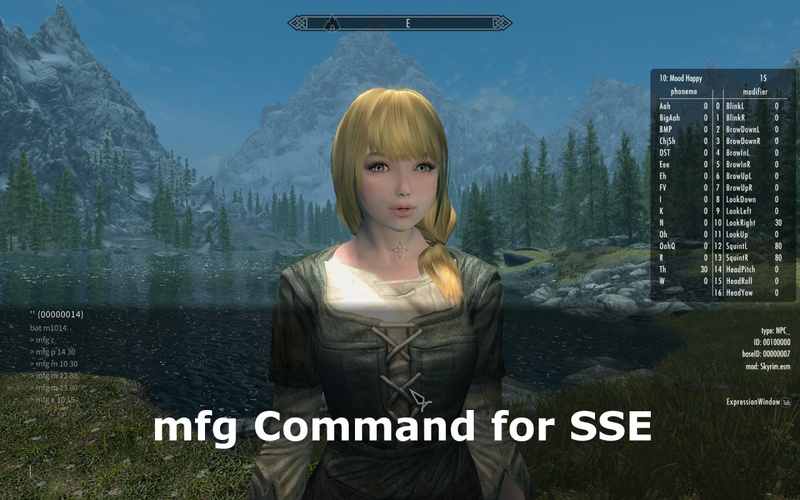 6 Nov 2016 <https://www.nexusmods.com/skyrimspecialedition/mods/1473>. Skyrim Special Edition Nexus, rezy.  18 Mar 2019. (SKSE64) Havok Fix. 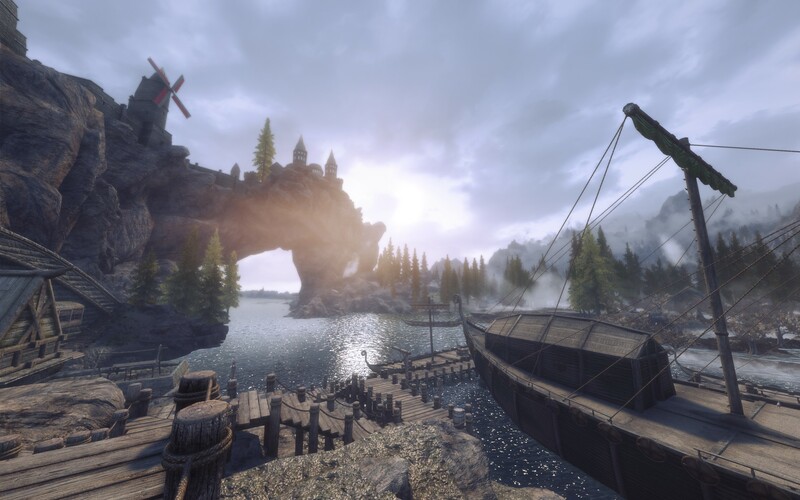 24 Jun 2018 <https://www.nexusmods.com/skyrimspecialedition/mods/18160>. Skyrim Special Edition Nexus, SkyLover264. 15 Dec 2017. Quest Conflict Fixes. 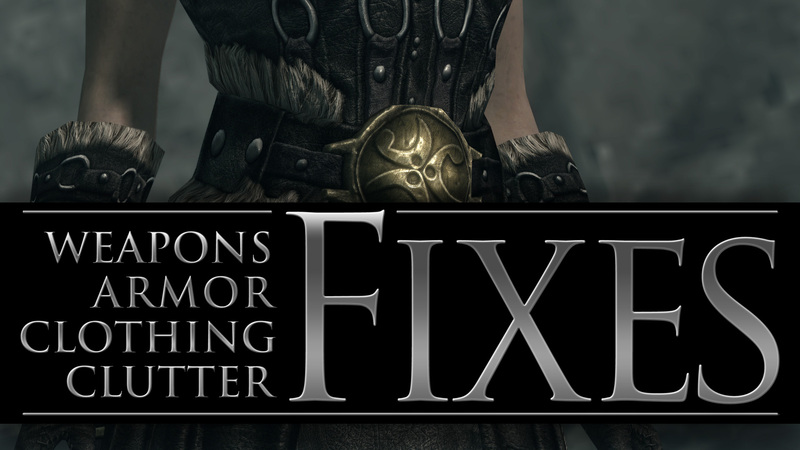 23 Sep 2017 <https://www.nexusmods.com/skyrimspecialedition/mods/12412>. Skyrim Special Edition Nexus, FancyPants. 27 Dec 2018. 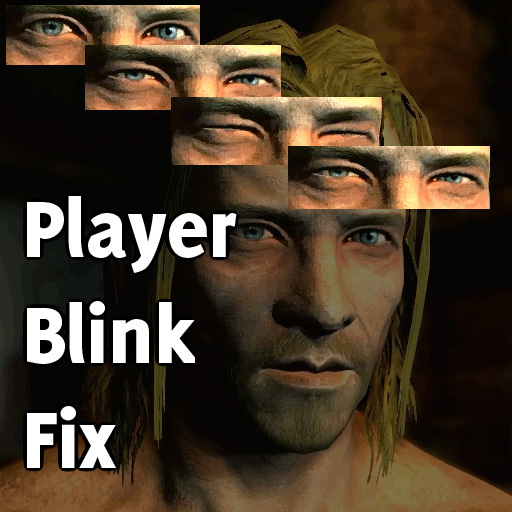 Player Blink Fix. 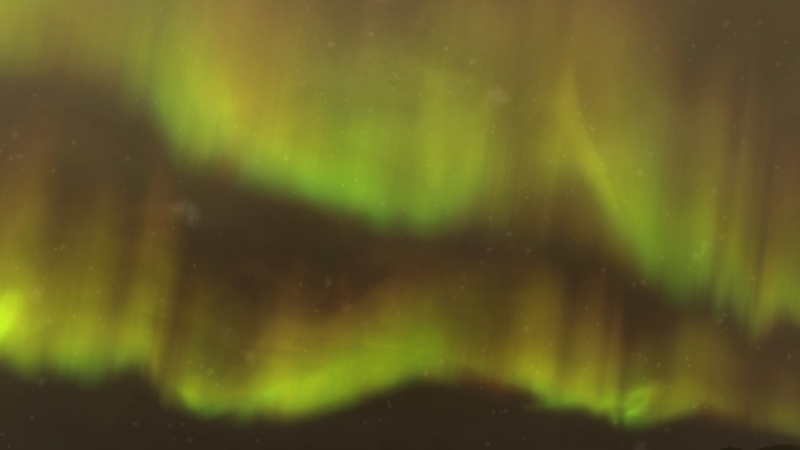 23 Nov 2016 <https://www.nexusmods.com/skyrimspecialedition/mods/4885>. Skyrim Special Edition Nexus, Elzee. 14 Apr 2019. Unofficial Material Fix. 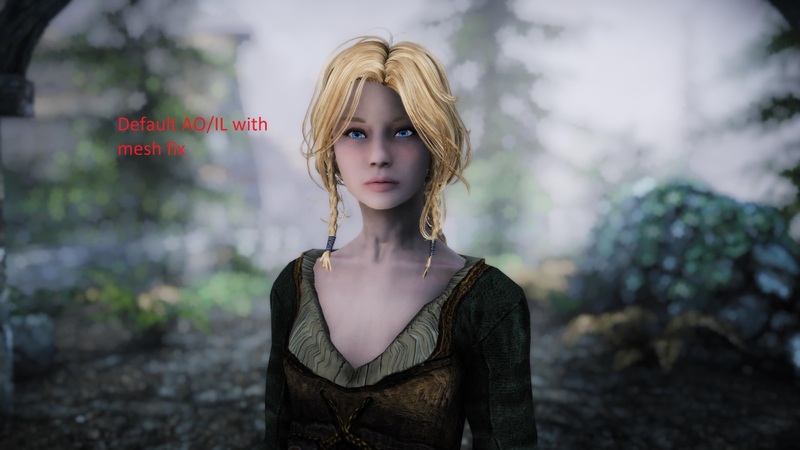 5 Nov 2018 <https://www.nexusmods.com/skyrimspecialedition/mods/21027>. Skyrim Special Edition Nexus, aiqa. 13 Sep 2018. 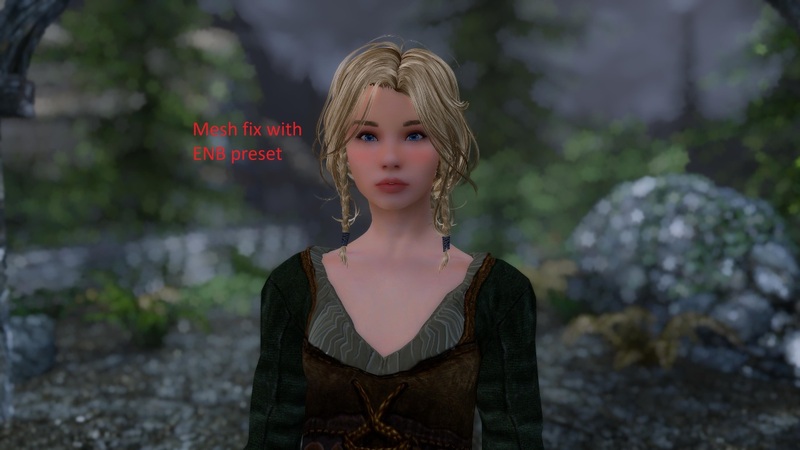 HDT-SMP Lurker animation fix. 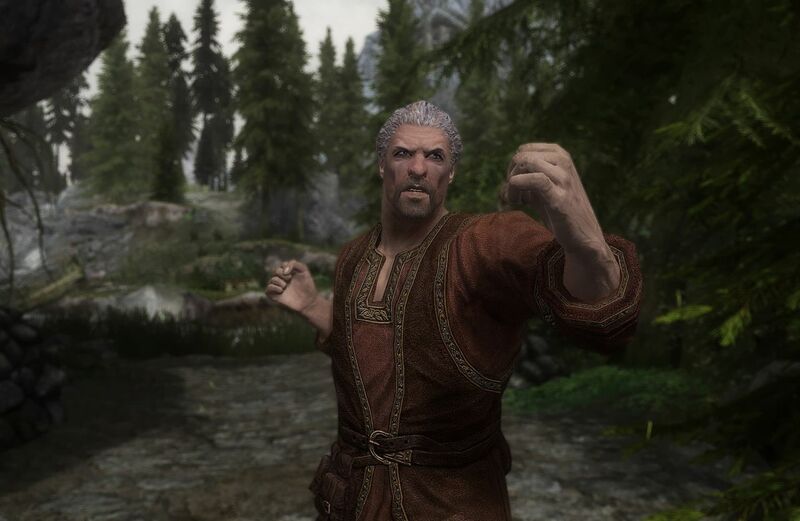 11 Sep 2018 <https://www.nexusmods.com/skyrimspecialedition/mods/19868>. 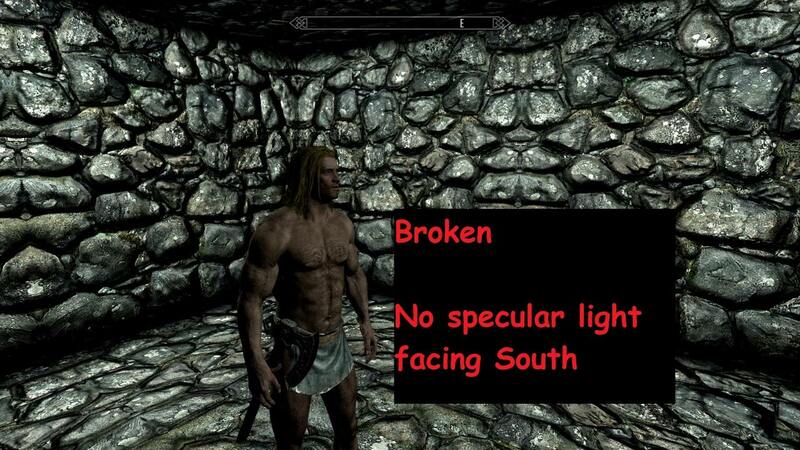 Skyrim Special Edition Nexus, aers. 9 Jan 2019. 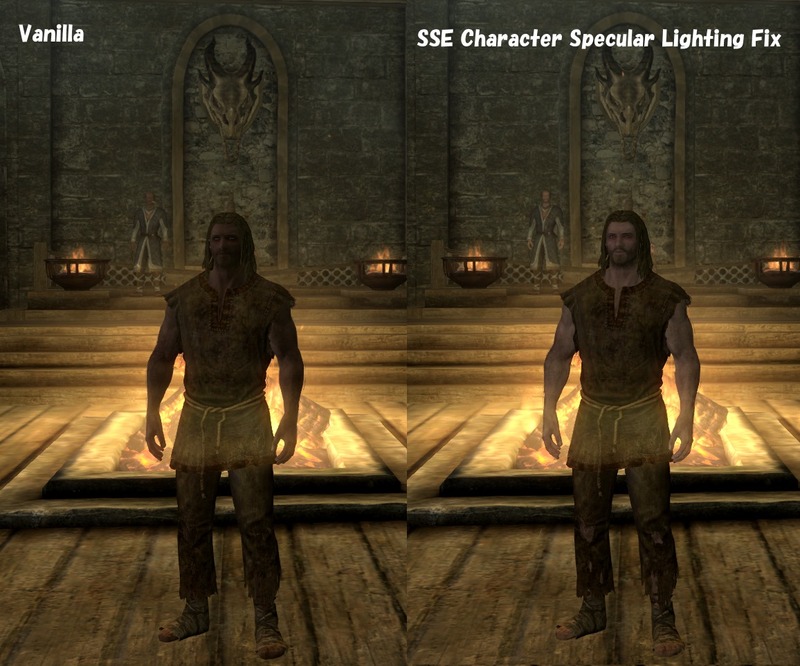 SSE Character Specular Lighting Fix. 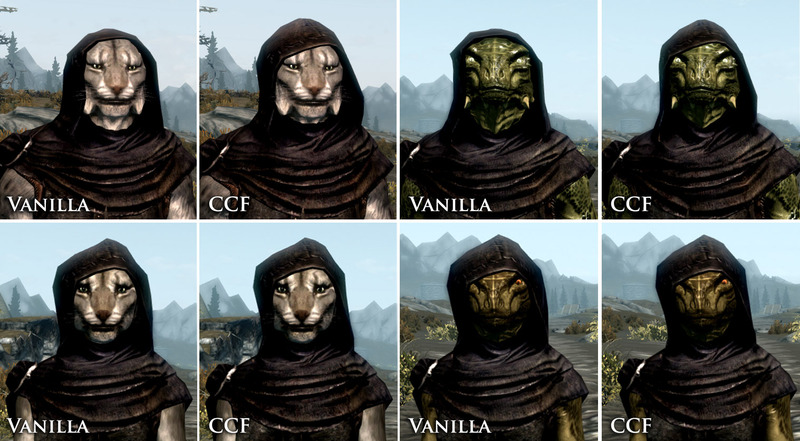 7 Jan 2019 <https://www.nexusmods.com/skyrimspecialedition/mods/22423>. Skyrim Special Edition Nexus, Ryan. 7 Dec 2018. 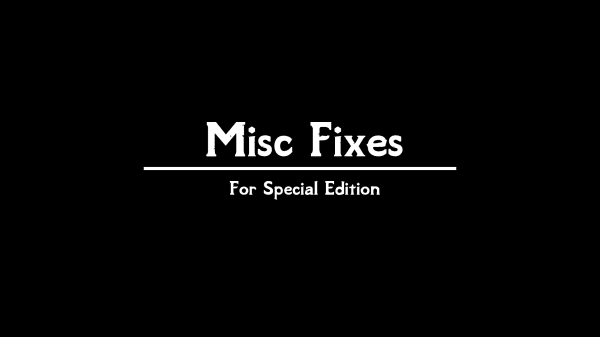 Misc Fixes SSE. 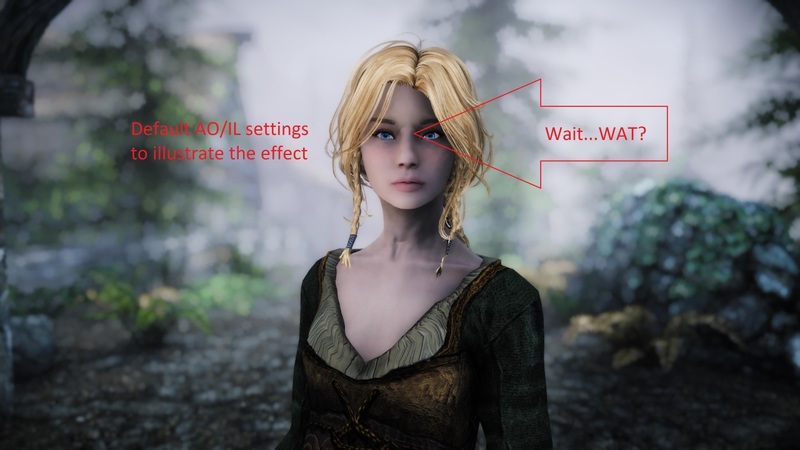 4 Dec 2018 <https://www.nexusmods.com/skyrimspecialedition/mods/21635>. Skyrim Special Edition Nexus, t65x. 16 Apr 2018. Hold to Sprint. 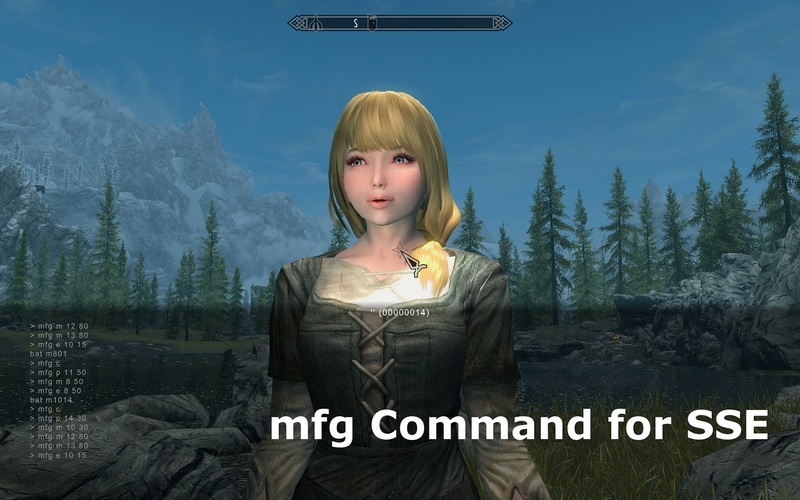 14 Sep 2017 <https://www.nexusmods.com/skyrimspecialedition/mods/12220>.